Homes for sale in Louisa County are very varied. 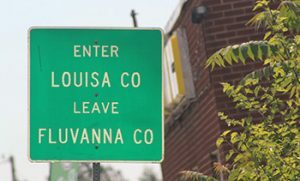 Louisa County is one of the largest counties in Virginia. It is bordered by Fluvanna, Albemarle, Goochland and Spotsylvannia Counties. In the center of the county is the town of Louisa which features stores, car dealerships, a variety of shops and restaurants. The County is mostly rural and is home to Lake Anna State Park where homeowners can dock their boats in their backyards. There are several public boat launches also. Other lake communities in Louisa County are Blue Ridge Shores and Shennandoah Crossing The biggest subdivision in Louisa County is Spring Creek which is just a short distance off of Interstate 64. Spring Creek features a clubhouse and a golf course. Louisa was rocked in 2013 by an earthquake that destroyed the high school which has been rebuilt.